Community members ask why taxpayers are fuelling mining industry subsidies ? 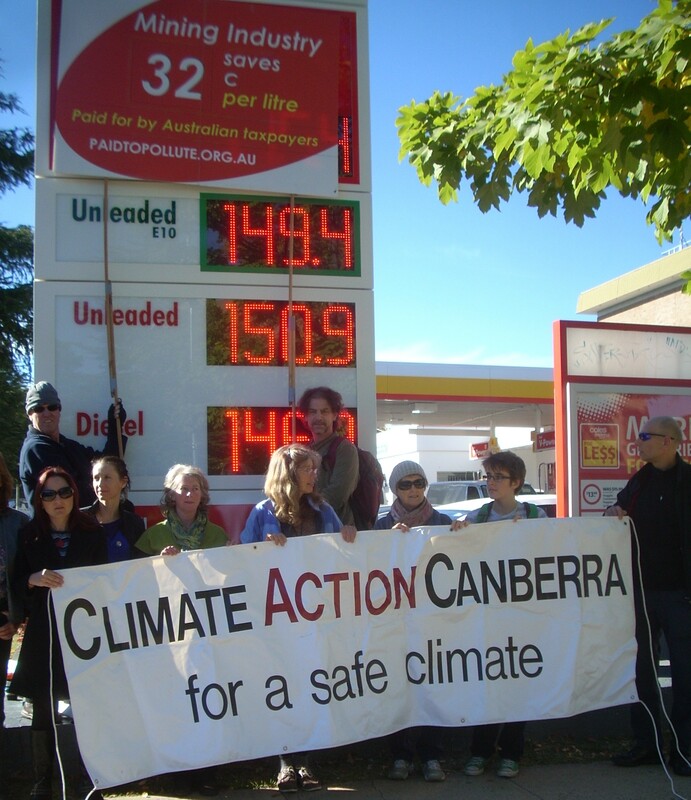 The Canberra community alert motorists to the major fuel discounts being handed out to the mining industry at their expense. This event is part of a series of rolling actions happening across Australia calling for a substantial reduction in the $10 billion dollars in fossil fuel subsidies currently handed to big polluters every year including some of the world’s most profitable mining companies. That’s the equivalent of giving them $130 million from Canberra alone. We could buy a lot of renewable energy infrastructure with that money giving us cheap electricity for years to come or fund Gonksi education reforms or the Disability scheme or Denticare. 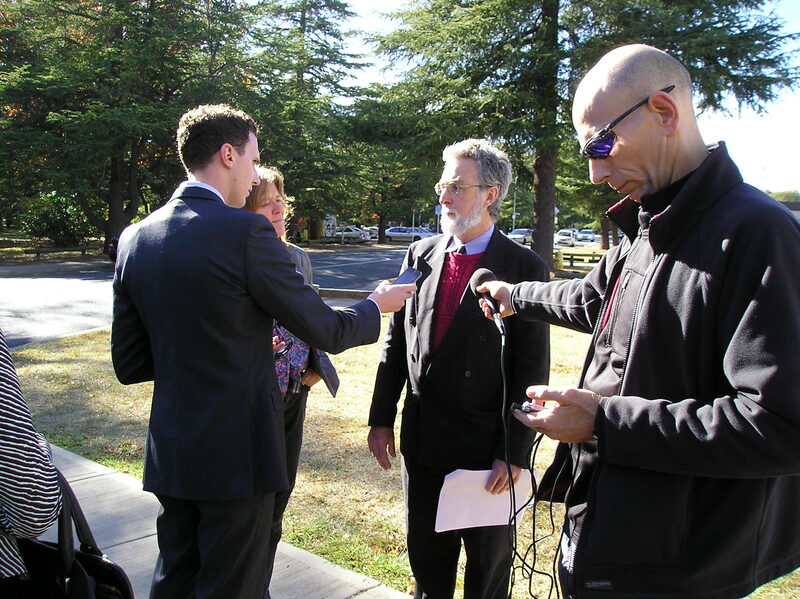 Leon Arundell: Secretary of Climate Action Canberra talks to the ABC and Radio 2xx about the $10 billion per year taxpayer funded subsidy to the fuel bills of the mining industry.